If you’re like most general aviation pilots, you’d love to spend more time in the skies next year. One way to log more hours with less hassle is by joining a flying club. Whether you’re an experienced pilot or just learning to fly, participating in a club will allow you to save money and build flight hours. Best of all, clubs make flying a rewarding social experience, connecting you to a network of people who share your interests and passion for aviation. You can use AOPA’s flying club finder to locate a club near you. The new year is an opportunity to step outside your comfort zone and expand your aviation horizons. For example, why not train to earn an additional rating or endorsement? Not only will advanced training improve your overall abilities, but it may also open the door to exciting flying opportunities. The best pilots are proficient pilots. 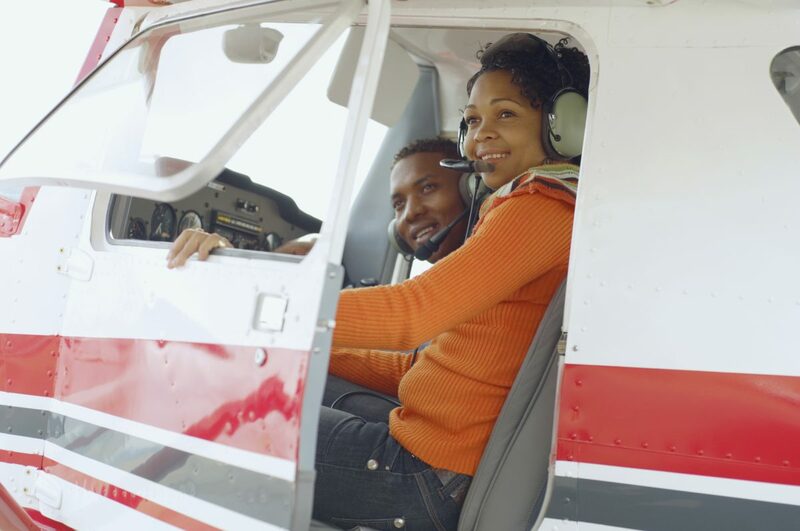 Maintaining a high level of proficiency will strengthen your flying abilities, reduce safety risks, and help you prepare for emergency situations. It’s been shown that many general aviation accidents have less to do with flying time and more to do with proficiency. Luckily, with today’s highly advanced flight simulation technology, it is easier and more affordable to refine your skills and become a safer, more confident pilot. It’s hard to find a group more welcoming and close-knit than the aviation community. This year, make a goal to attend more aviation events and celebrate the freedom of flying with fellow pilots and aviation enthusiasts. From pancake breakfasts fly-ins to air shows to educational seminars, there’s no shortage of aviation-related events to attend. Over the past few years, there has been much discussion about the shrinking number of general aviation pilots. As a pilot, you can help combat the so-called pilot shortage by introducing more young people to the joy of flying. This year, consider offering your time and talent to give introductory airplane rides or mentor budding student pilots. A great place to start is by volunteering as a pilot for the EAA Young Eagles program. It’s a fun and rewarding way to share your passion for aviation and inspire future pilots. Do you have any aviation-related goals for 2019? Let us know in the comments!